2rbConsulting is registered with the U.S. Department of Veterans Affairs as a certified Service-Disabled Veteran-Owned business. Our CEO, Betta Beasley, is a U.S. Army Veteran and she continues to serve our country as one of Washington’s leading women veterans advocates. Ms. Beasley serves on several boards, most notably as the Chairperson for the Washington Department of Veterans Affairs Women Veterans Advisory Committee. The WBENC certification represents diversity in the world of commerce, promoting innovation, and creating partnerships for Women-Owned businesses to provide opportunities to fuel our local and national economy. As a certified Women’s Business Enterprise National Council member, we are honored that Ms. Beasley serves as a National Forum Committee member for WBENC and represents Washington as a WBENC State Leader. The NGLCC certification indicates that 2rbConsulting is connected to the largest global advocacy organization dedicated to expanding economic opportunities and advancements for LGBT-owned businesses. They also work for implementation of pro-business and inclusive policies at the federal, state and local levels of government. Did you know that LGBT businesses contribute $1.7 billion to the economy? 2rbConsulting is certified by and proudly supports Disability: IN, a national non-profit that helps businesses drive performance by leveraging disability inclusion in the workplace and vendor supply chains. The Disability: IN Disability Supplier Diversity Program (DSDP) is the nation’s leading third party certification program for disability-owned businesses, including businesses owned by veterans with service-connected disabilities. 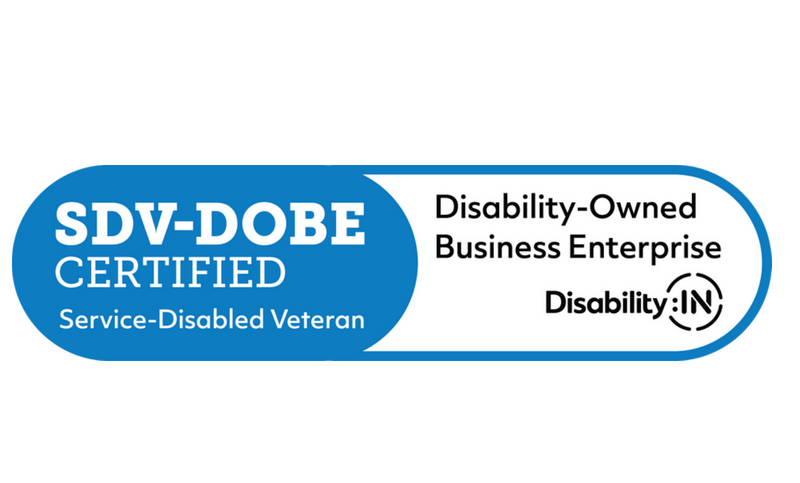 The National Veteran Business Development Council certifies 2rbConsulting as a Service-Disabled and Veteran-Owned Business (SD/VOB). This certification provides validation of Service-Disabled Veteran status, Veteran status, and 51% Veteran ownership and control of a Veteran-Owned Business status per the Department of Defense requirements. NVBDC supports the interests of all Veteran-Owned Businesses and works to promote business opportunities for all VOBs and SDVOBs within commercial and government markets.